My colleague Christoph has started to play with the Flic button and another IoT button, so I was interested as well. 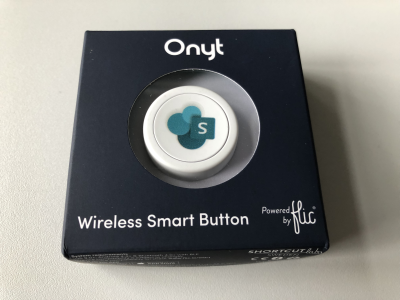 Another article with that IoT button will follow shortly. Flic buttons (flic.io) are available in various styles. I got mine branded with the new SharePoint logo (see more here) at an event. So, it was time to unpack it and test it. 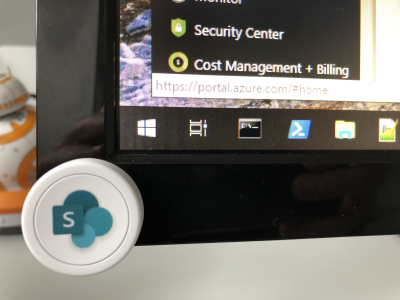 The button has an adhesive backing and can be glued to any device, as to my monitor. Handy! The connectivity works with Bluetooth. So, the good news is, that pressing the button happens instantly, and the connected app responds with an acoustic message after pressing. On the other hand, a Bluetooth device is required that sends the button information to another system. That can be any smartphone or an IoT Hub, as the flic-hub. I tested with my phone. That button´s battery should last 1 to 2 years. Afterwards, the whole button must be replaced. Other models have replaceable batteries, which makes more sense. First, I installed the Flic App from the store. Then, I did register with a new account and pressed the button to connect. When connected, I renamed the button and the app shows the total clicks and the possible actions. The actions can now be configured. On the computer, I signed-in to flow.microsoft.com and created new flows. This can be done from the Flic templates, or by doing it manually, as I did. The Flow connector requires the Flic account (username and password) and can be triggered for the events click, double click, hold and any as shown here. 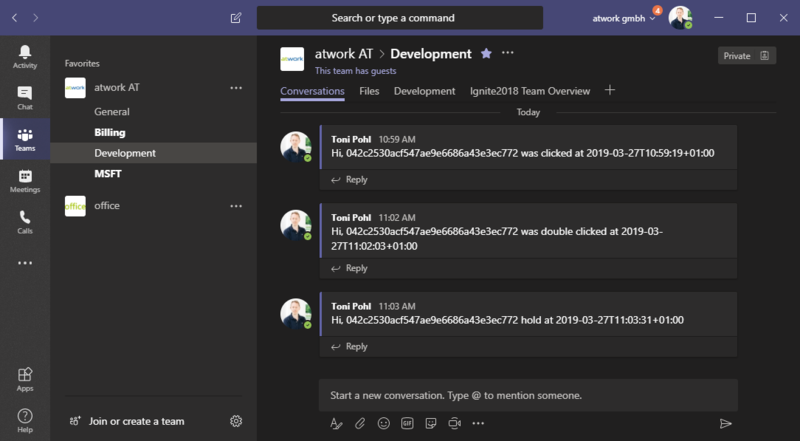 As followed action, a new message is posted into a Microsoft Teams channel. In this sample, a text message is sent. The same flow can be duplicated for the other events, as I did here. That´s it on the Flow side. To use Azure Logic Apps (or another processing tool), use the "Internet Request" action in the "Advanced" category. 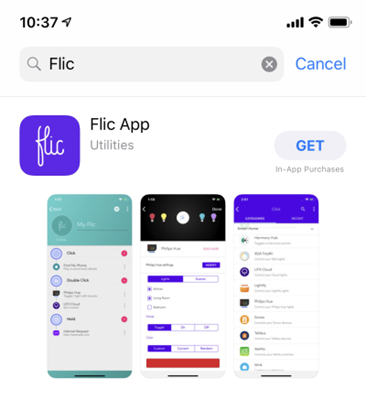 Flic offers a bunch of connectors, organized in the categories, as IFTTT, IKEA, LIFX, Philips Hue and more vendor light controls, Share location, music control, Alarms, Timers, Stopwatch, Runkeeper, GitHub, Random Number and more. 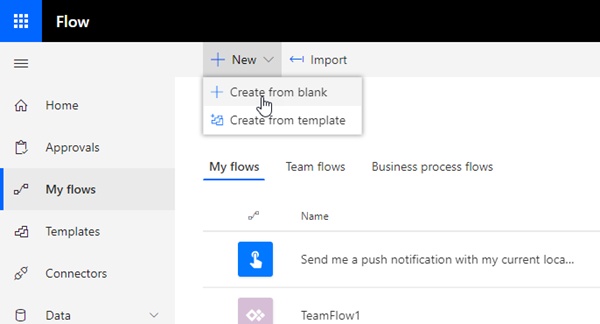 In the Flic app, I simply added "Microsoft Flow". 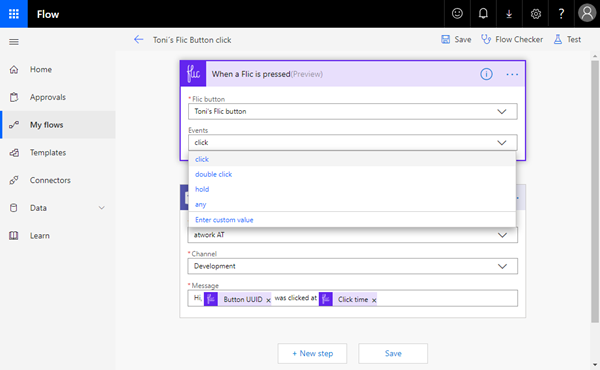 Through the Flic account and the Flic connector to that button and the event in the Flows, events will be sent to the corresponding Flow. So, the configuration looks as here. When the button is clicked, double clicked or hold, a message appears in the Teams channel as in this screenshot. It´s amazing, that the message appears in Teams in about two seconds. So the runtime is really fast and immediately.